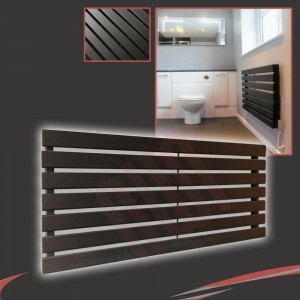 Make a statement with an NWT designer black horizontal radiator. 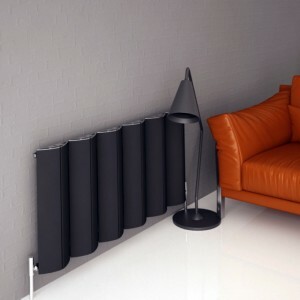 The dark coloured radiator is a modern design that has stormed the UK market and is an ideal contrast piece installed on a feature wall. The Brecon Designer Radiator range is a popular design using an oval tube horizontal profile (25mm x 50mm) which compliments a variety of room sets and interior finishes. 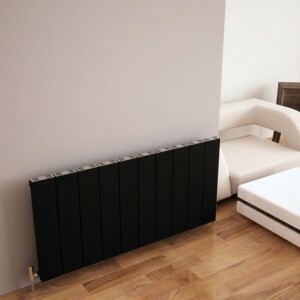 The matt textured black finish is an ultra-modern stylish design which is new to the market! The Corwen is a great modern design, with is square rectangular bars it gives a sleek look to any room. Available in multiple sizes and colours the corwen will fit into any room.